Former Socceroo Mark Schwarzer says the pressure on Australia to win back-to-back Asian Cup titles is greater than ever after injuries to key players, but there's an excellent opportunity for fresh faces to make their mark in a team entering a new era. 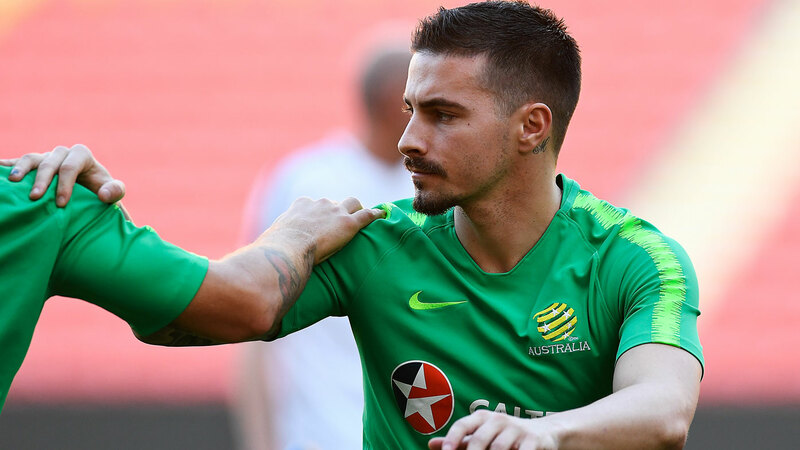 This past week, star midfielder Aaron Mooy joined Daniel Arzani on the Socceroos’ injured list, with Tom Rogic’s fitness also in doubt for the Asian Cup in the United Arab Emirates in January. Schwarzer was in the side that was widely regarded as the ‘golden generation’ for the Australian national football team, and although current captain Mark Milligan is the last remaining player of that legendary 2006 World Cup squad, the ex-Socceroos goalkeeper said there is plenty of promising talent coming through with a chance to prove themselves, especially with a new coach at the helm. “The first camp that Graham Arnold took over was great for creating a bond with the new regime, with fresh ideas, and I think that means opportunity for new players,” the Optus Sport football analyst told Wide World of Sports in an exclusive interview. “With those guys missing out on that injury list, it seriously weakens our squad of players. They're top quality players and they'll be missed. “But players like Jamie Maclaren should see it as an unbelievable opportunity. Mathew Leckie was excellent at the World Cup. 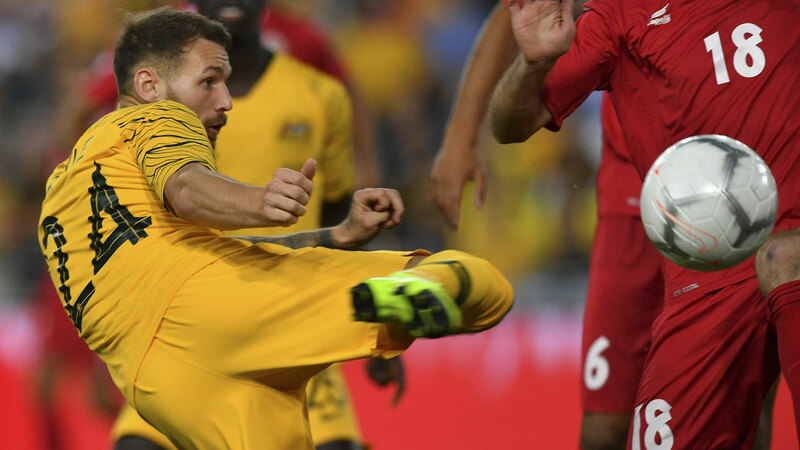 He's one that the Socceroos will heavily rely on. Schwarzer said that new addition Martin Boyle could be a breakout star of the Asian Cup, after a superb showing in his first few games in green and gold. The Scottish playmaker, who was able to join the Aussie team through his Sydney-born father, has been a major boost to the Socceroos attack. Boyle has already notched two goals in two appearances; for a country he had never even visited until Graham Arnold travelled to Edinburgh to recruit him. It’s a positive step for a national team which has struggled to find the back of the net in recent years, and can no longer rely on the head of recently retired Tim Cahill. “I think Boyle is one to keep an eye out for. He could definitely take the Asian Cup by storm,” Schwarzer said. “Timmy has always been a real force. Whenever you lose one of those players, it's very difficult to replace them. But when they move on, it allows other players to develop and come into their own and step up. Massimo Luongo is another player Schwarzer believes is in a prime position to make an impact at the Asian Cup. It was the tournament that thrusted him into the spotlight with the national side. He scored a goal in the final against South Korea and was named the tournament’s Most Valuable Player. Mooy’s absence next year, along with the departure of former captain Mile Jedinak, opens the door for Luongo to finally get a chance to re-establish himself as part of a midfield group with plenty of promise. “Massimo has been unlucky at times not to play at World Cups,” Schwarzer said. The FFA still holds faint hope for Mooy to perhaps make an appearance in the latter stages of the Asian Cup, with the football body sending their own medical staff to evaluate the midfielder’s injured right knee. "Of course, Aaron’s long-term career and fitness remains our primary concern and we will not rush him to return to match play before he is safe and confident to do so, however we are also committed to leaving no stone unturned in our attempt to have him available for us at the tournament,” Arnold said of the desperate ploy. But even without Mooy for much of the tournament, Australia’s Asian Cup title defence will be a “huge challenge” says Schwarzer, with Arzani’s ACL injury only adding to Arnold’s headaches. “Mooy is someone that always wants the ball, he's very confident, always a player that makes space to create a path for another player, or is there as an option,” he said. “He creates play and he has an ability to deliver from set plays on corners and free kicks, and he can shoot goals from distance, as he's shown in the English Premier League with some vital goals. “Arzani is a hugely talented boy, and brought unpredictability. We're not necessarily used to having a Socceroos player of that technical ability. He is definitely going to be missed, because he is not afraid to take players on. Schwarzer said he sees Japan and South Korea as the two major threats to take out the tournament next month, and warned against underestimating Saudi Arabia and Iran. Whatever injury obstacles the Socceroos face, he sees anything less than a semi-final berth as a failure. “At the bare minimum, the Socceroos need to reach the semi finals,” Schwarzer said. “We've qualified for four consecutive World Cups, and are currently Asian Cup champions so there's a very high bar in the national team.